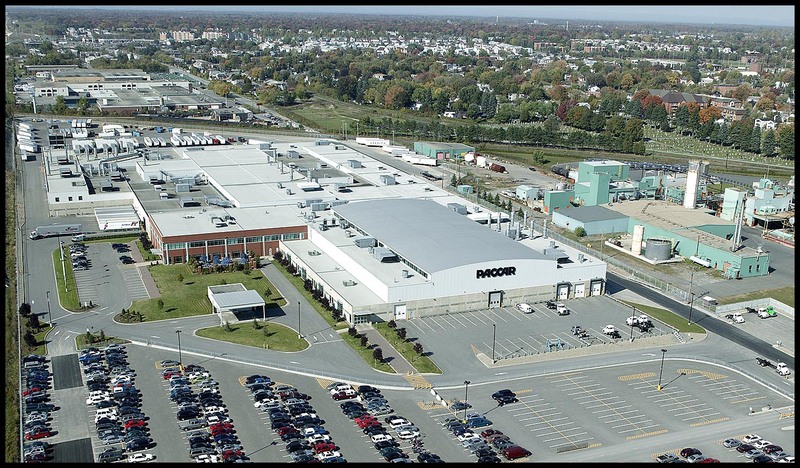 STE-THéRèSE, Quebec, March 15, 2018 – The PACCAR Ste-Thérèse plant received a prestigious 2018 Manufacturing Leadership Award from Frost & Sullivan’s Manufacturing Leadership Council in recognition of its production technology advancements. PACCAR Ste-Thérèse was honored for its Frame Transfer Efficiency Improvement Project. The project takes advantage of automated guided vehicle (AGV) technology to increase frame assembly capacity, efficiency, safety and flexibility. The replacement of an above-ground conveyor by an AGV conveyance system created more space for assembly tasks; enhanced ergonomics; reduced downtime; and optimized the flow of operations. The system is designed to accommodate a broad variety of station content, and is easily adaptable to different production requirements. “The employees at the PACCAR Ste-Thérèse plant are especially dedicated to building the industry’s highest quality medium duty trucks. The plant implements initiatives driven through innovation to achieve continuous improvement and enhanced quality for fleets and truck operators who purchase Kenworth and Peterbilt medium duty vehicles,” said Chakib Toubal-Seghir, PACCAR Ste-Thérèse plant manager. PACCAR Ste-Thérèse has earned the prestigious International Standards Organization (ISO) 14001:2004 certification for effective environmental management systems established to help build trucks in an environmentally sustainable manner, IS0 9000 quality assurance certification, and OHSAS 18001 health and safety certification.